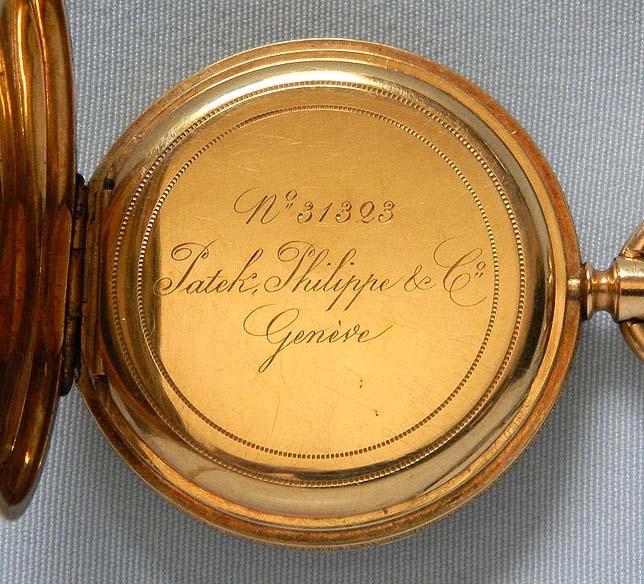 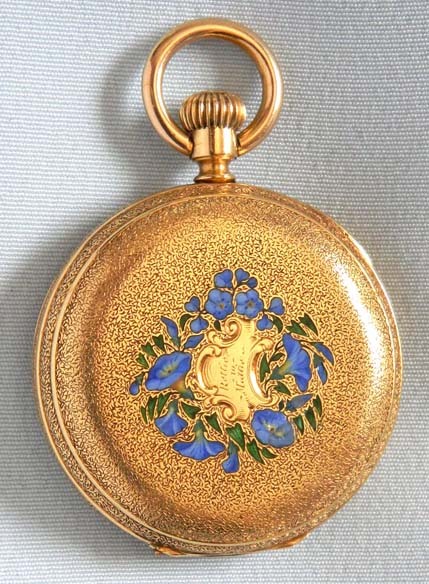 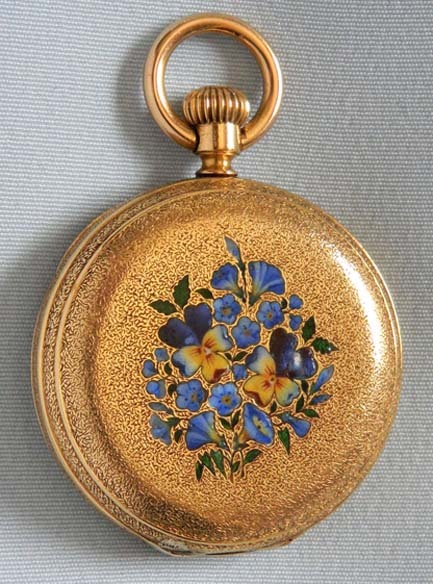 Fine and lovely Patek Philippe 18K gold and painted enamel antique ladies pendant watch circa 1868.The case engraved all over and enameled with beautiful flowers. 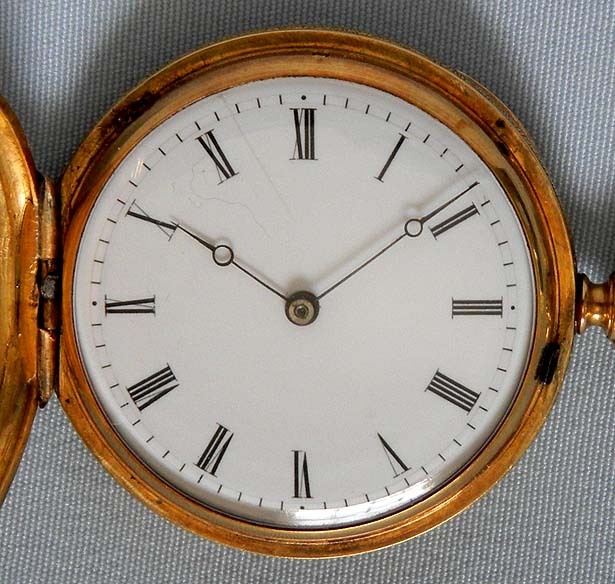 White enamel dial (scratch) with blued steel Breguet hands. 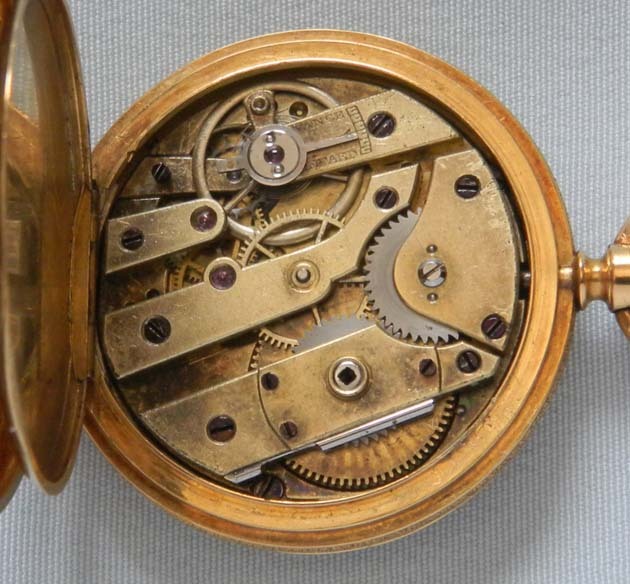 Faded gilt 10 jewel stemwind cylinder movement running but not a good timekeeper.